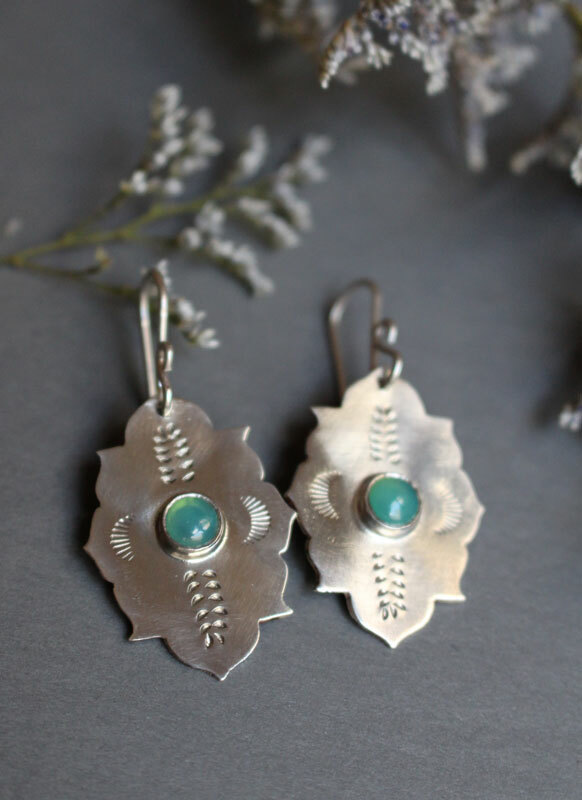 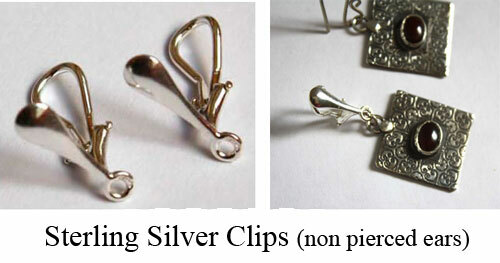 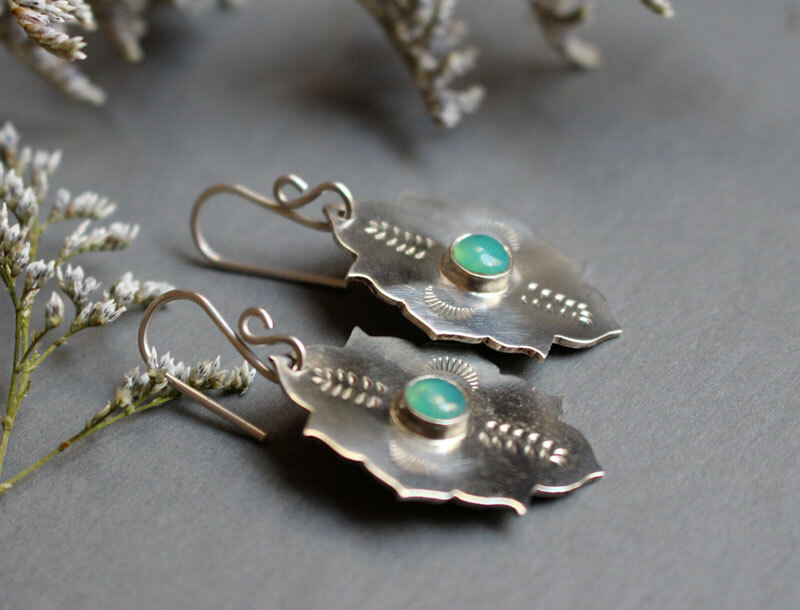 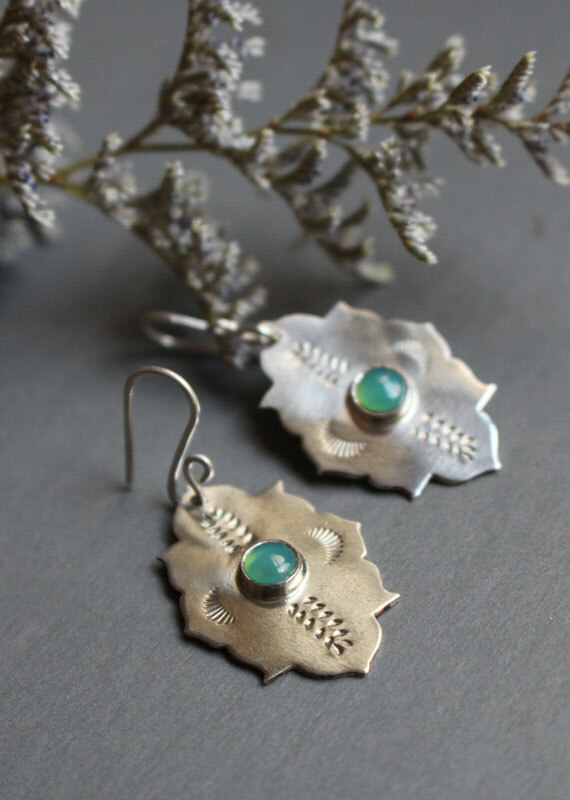 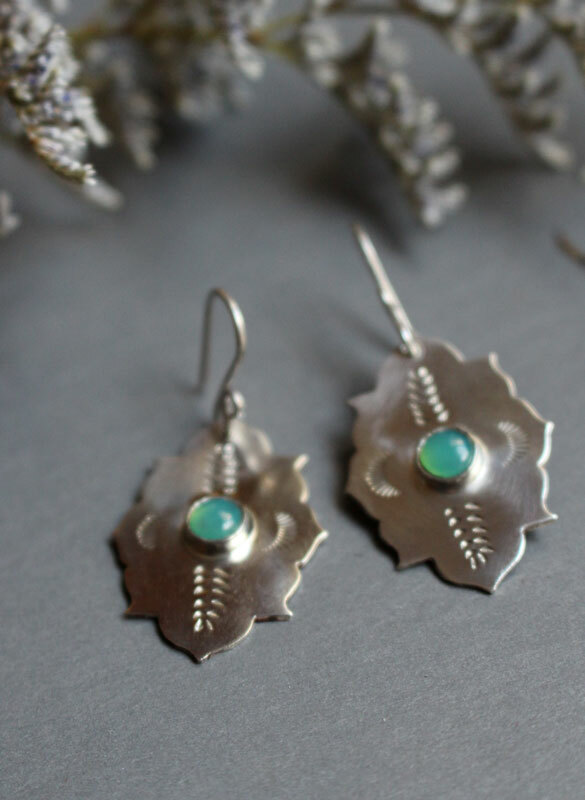 The Kirakee earrings were made on the same model than the Khirakee ones and are made of sterling silver. 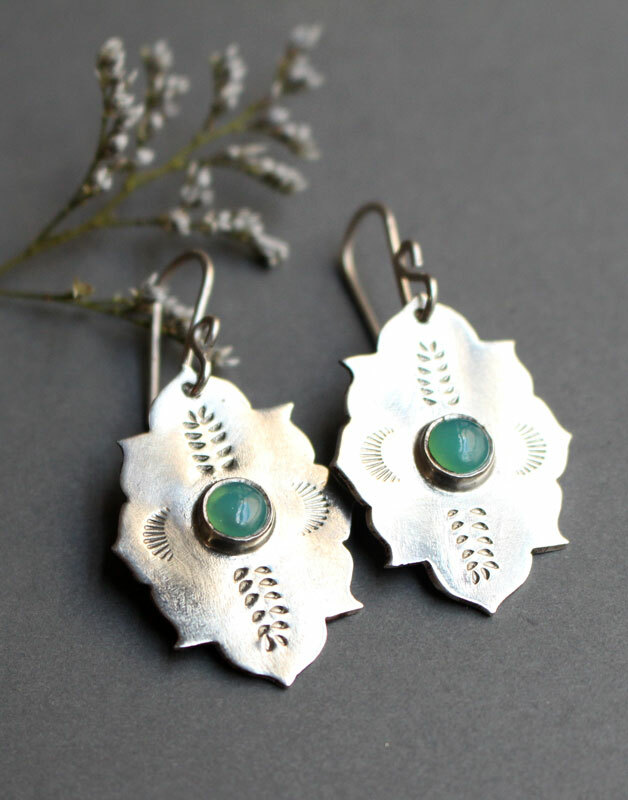 They are bezel set with translucent green chrysoprase cabochons. 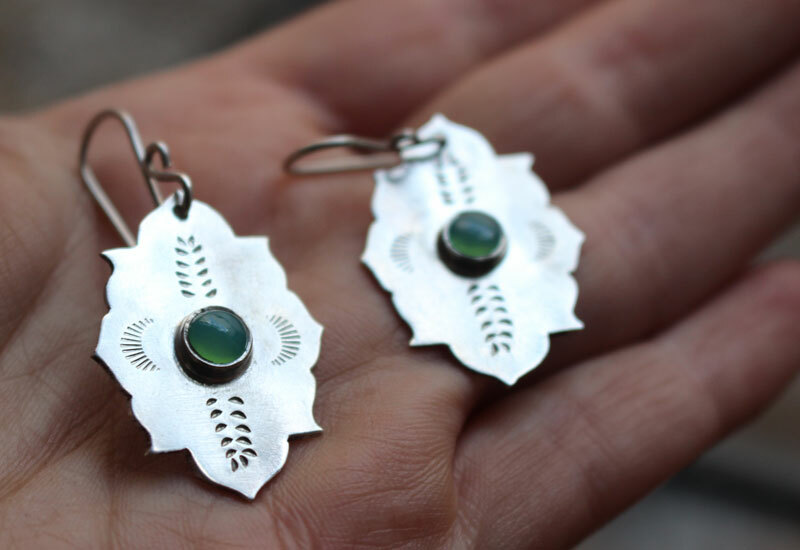 These earrings were hand sawed in the shape of a Moorish window. 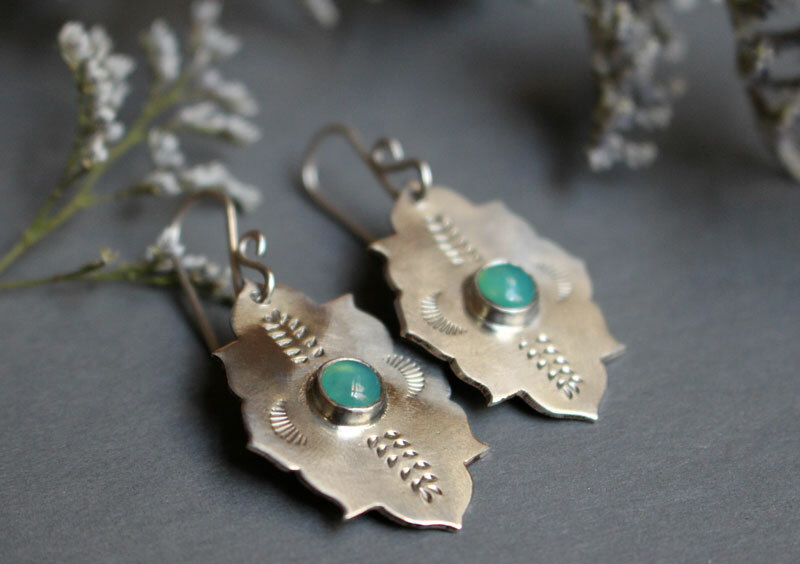 It reminds me of the sculptures of luxurious palaces which were built by the Moors in the South of Spain. 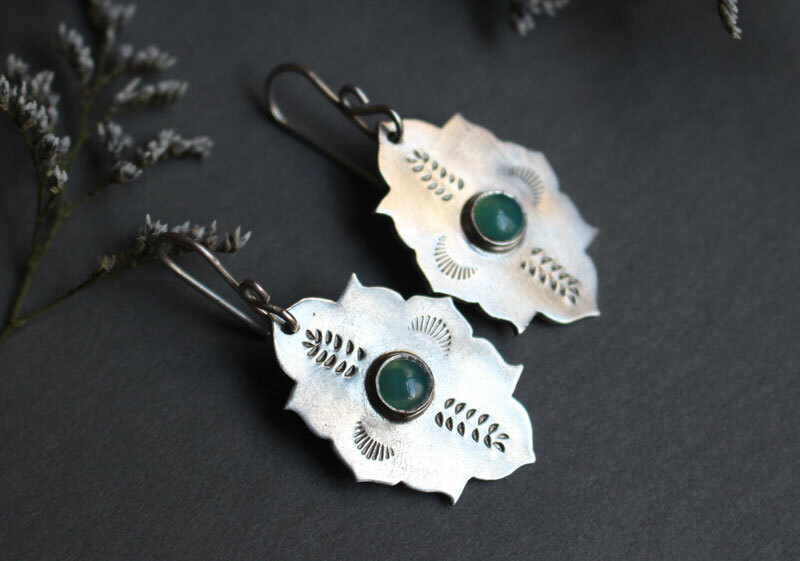 These earrings are elegant and very feminine. 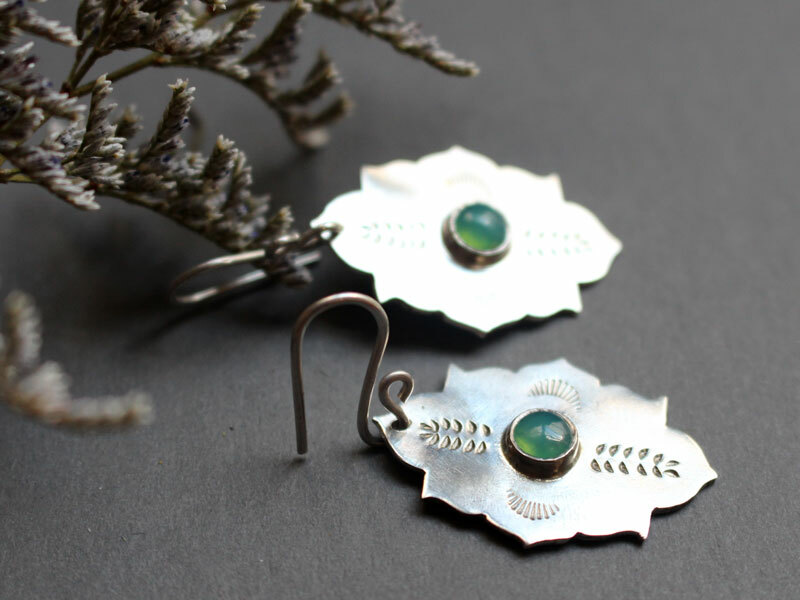 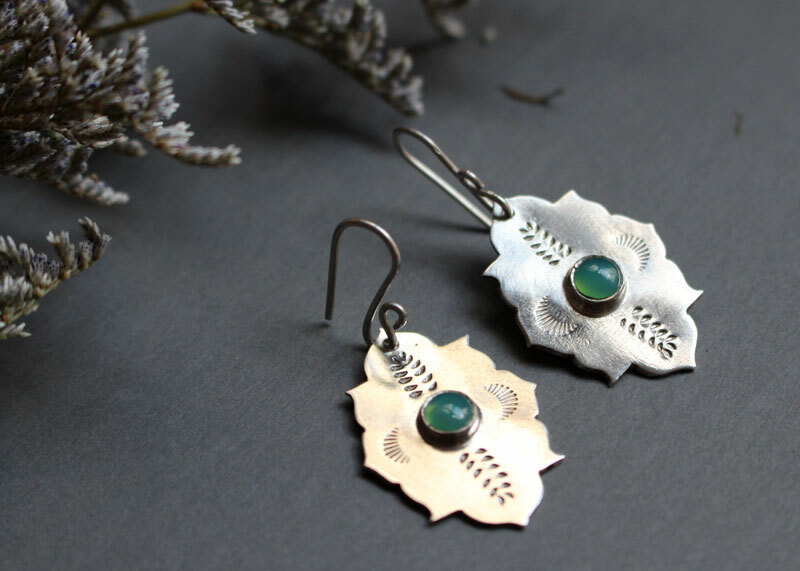 If these earrings remind you the sun of Andalusia, they are meant for you. 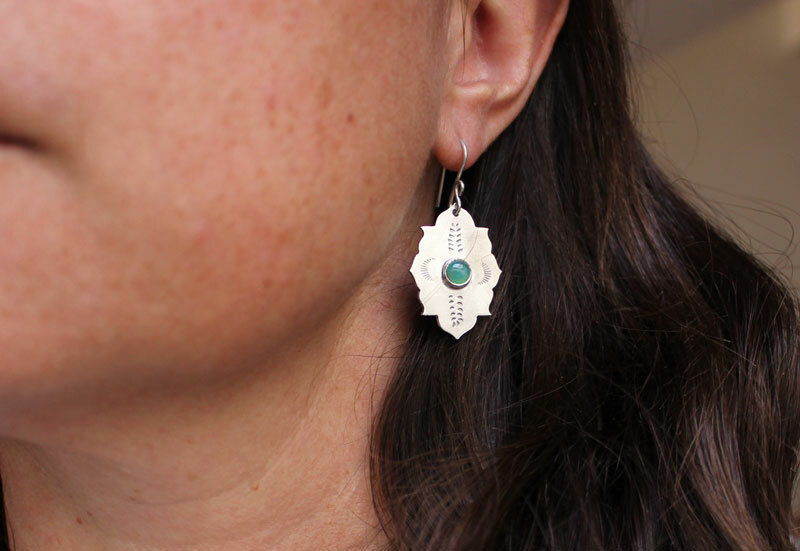 Tag: sterling silver chrysoprase earrings, Moorish jewelry, oriental sterling silver earrings, architecture jewelry, Valentine gift, mother gift, jewelry birthday gift idea.